Polish PPS-43C pistol, semi-automatic, manufactured in the famed Radom Plant in Poland, includes two 30rd mags - 9mm caliber. The 9mm round is plentiful and affordable. Ships complete with 2-30 round magazines, oil bottle, and accessories. 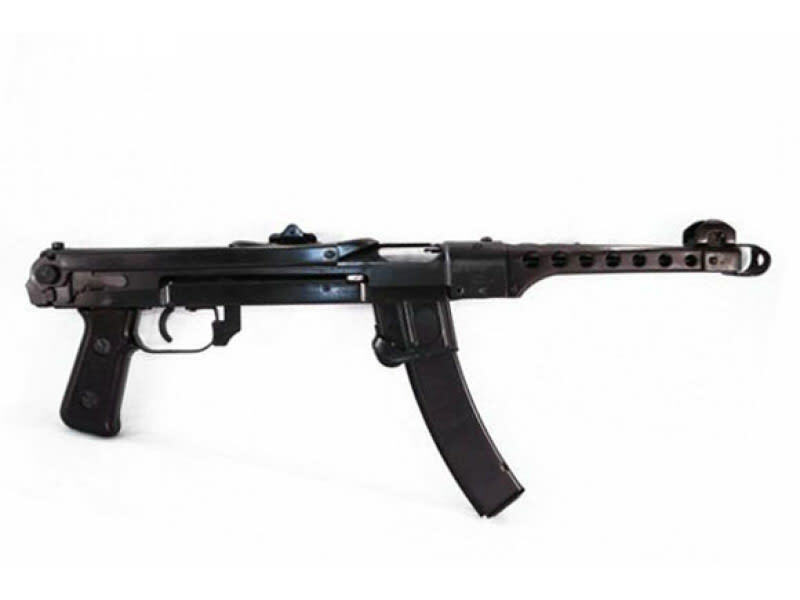 Original Polish PPS-43C in a semi-auto version. 9mm caliber considered a pistol due to overall length. Comes with two- 30rd mags. 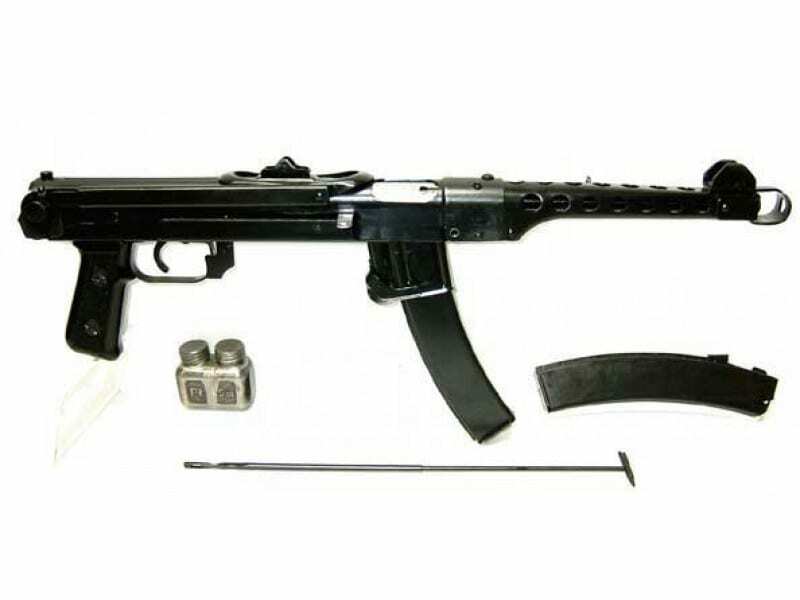 The PPS-43C (Pistolet-Pulemet Sudaeva, a model of 1943 = Sudaev SMG) was born as an answer to the need for a weapon that is more compact and mobile than the PPSh-41, then in use by the Soviet Army. 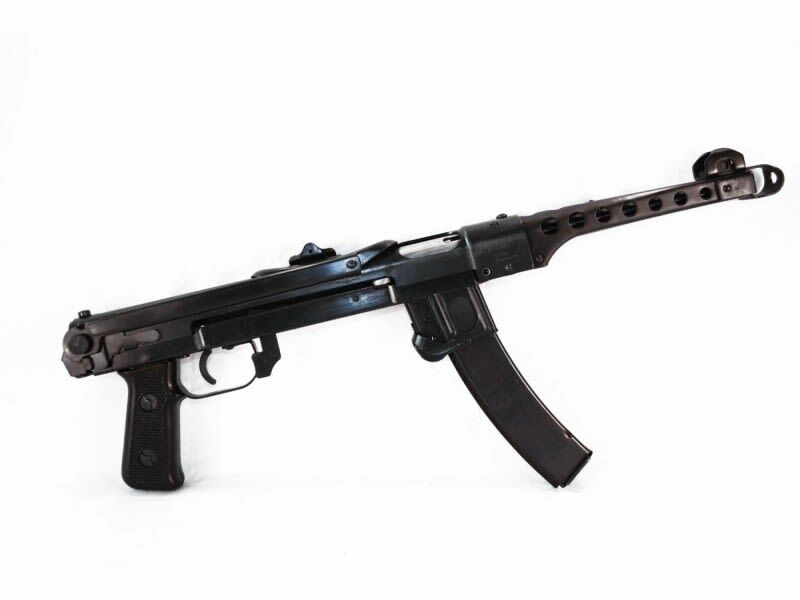 The PPSh-41 was somewhat too long to be used by tank crews and mobile recon groups and paratroopers, so late in 1941, the Red Army issued a request for a new more compact submachine gun (SMG). 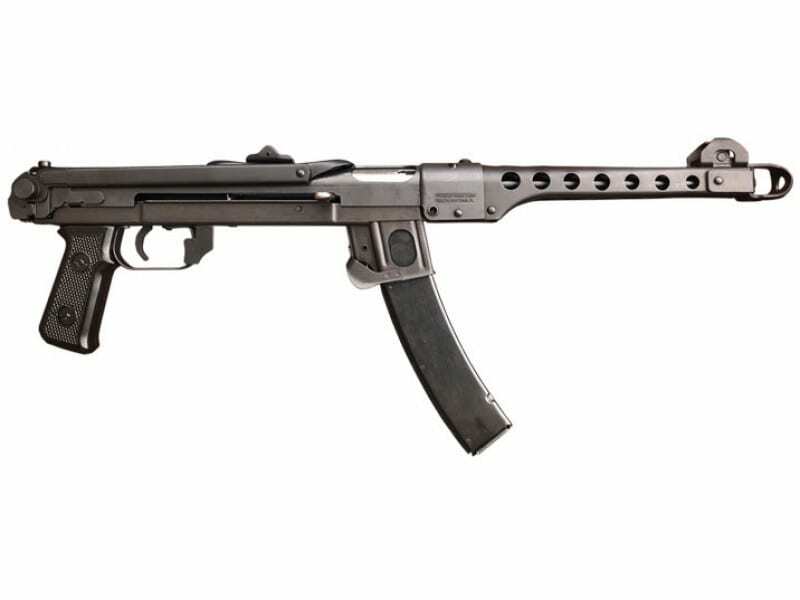 The designer Sudaev initially designed his new SMG in 1942, and it was adopted under the designation of PPS-42. The next year he refined the design, and this final model was designated as the PPS-43. This model was manufactured in significant numbers (nearly two million PPS-43 weapons were manufactured between 1943 and 1946). 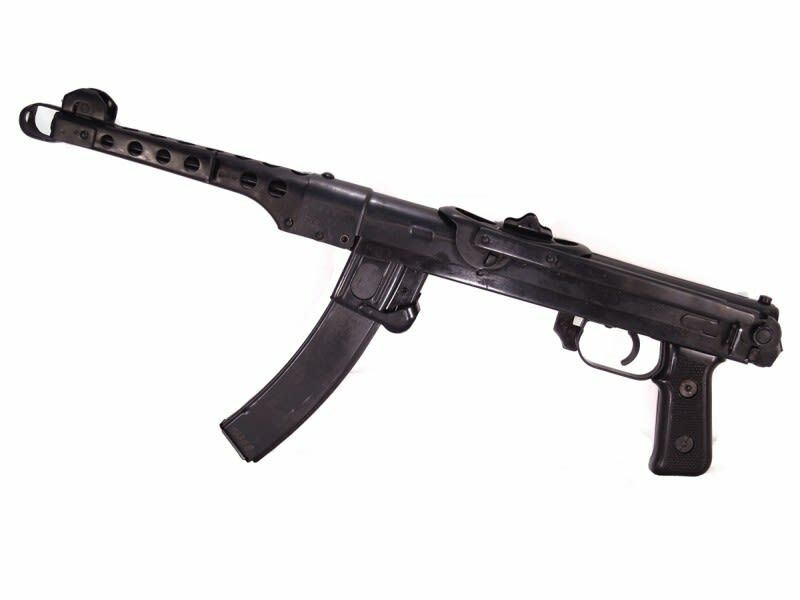 The PPS-43 is sometimes referred to as the best SMG of World War II. After WWII, it was widely exported to pro-Soviet regimes around the world and widely copied. This historical firearm has been re-designed to shoot from a closed bolt position. The safety is located at the front of the trigger guard. The receiver and barrel shroud are made from stamped steel. The rear sight is an L-shaped flip type and is marked for 100 and 200 meters, the front sight is a fixed blade type. The barrel is equipped with a simple muzzle brake. This firearm is an ATF approved pistol. 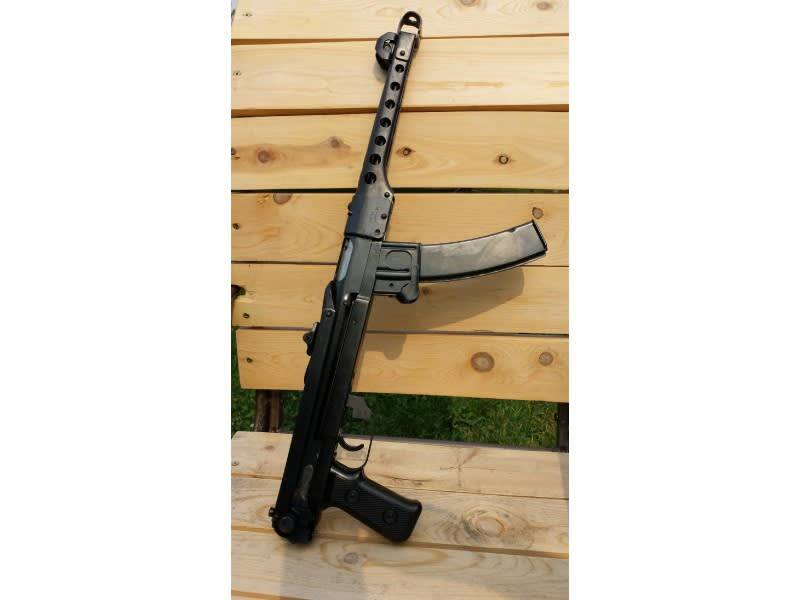 The stock has no function and is permanently fixed in its folded position. Since adding this pistol to our product line in mid-2011 it has consistently been one of our best sellers and has a minimal return rate. 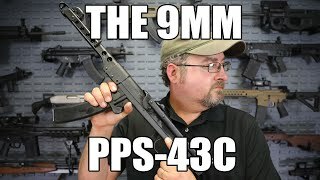 This pistol in the 9mm alternative can only make it more popular. This pistol is manufactured at the famed Radom Plant in Poland. All parts and components are new and Polish made. Pistol and mags fit like a glove in this Bulldog 25" Tactical Soft Case. Again, The folding stock is not functional. The mechanism is disabled and it has been welded in place. Cannot be sold to California, Connecticut, Massachusetts, Maryland, New York, New Jersey, or Hawaii due to State Law Firearm Restrictions. Polish PPS-43C pistol, semi-automatic, manufactured in the famed Radom Plant in Poland, includes two 30rd mags, 9x19mm caliber. Standard 9mm Luger/Parabellum caliber.